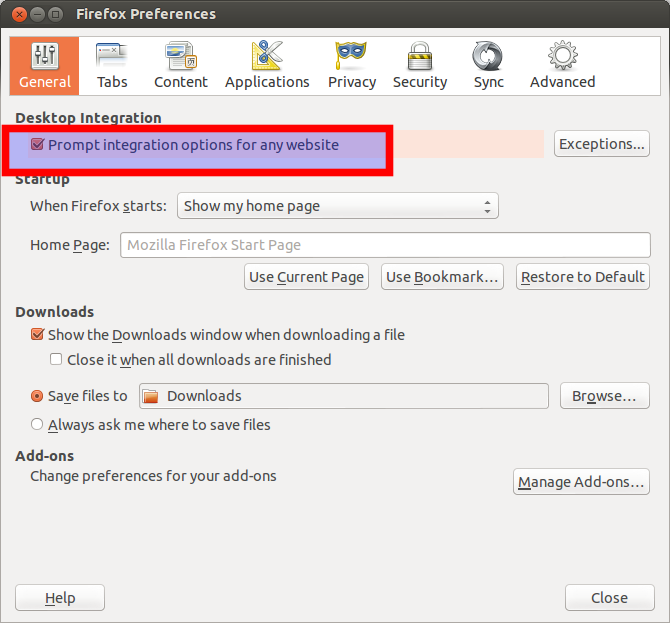 One of the most annoying features in Ubuntu from 12.10 onwards are the pesky notifications popping up asking if you want webapps support everytime you visit a supported webpage? 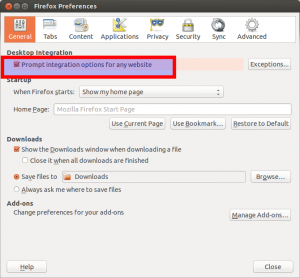 Whilst you can disable this in Firefox’s browser options: Firefox > Preferences > General: Uncheck “Prompt integration options for any website”. However I prefer to remove the browser extensions entirely. NOTE: Take care – unfortunatly you can not remove the following as their removal will cause Unity to fail !